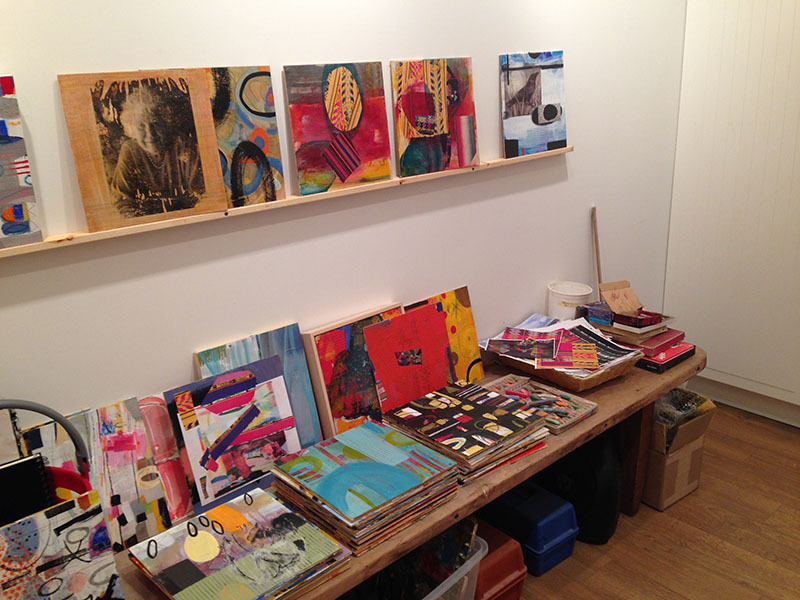 A neighbor who occasionally visits my art studio says that to walk into the studio is to walk into color. To not just see it, but also feel it as you would feel water when you dive into a pool. She recently asked me, “What of yourself do you put on the canvas?” My answer: joy in color, my spontaneous expression of form, light, love of nature. I’ve always loved bright colors. Once, as a kid, I stole my mother’s ruby red nail polish and painted florid, flowery designs on the white-washed adobe walls of the dining room here at the ranch my grandparents built. Today, my studio is just a short stroll from the dining room, and though it also has white walls, it really is filled with color. 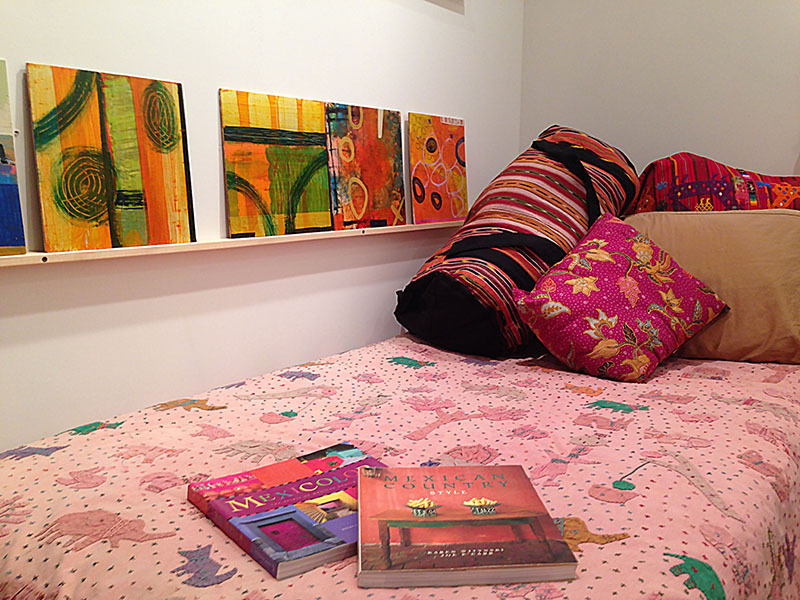 Besides the canvases, completed and in-progress, I have a daybed draped and pillowed in exuberant shades of reds, pinks, oranges, yellows. I bring in flowers. There’s a colorful rug on the floor. The same neighbor asked me, “Why paint?” I answered that I paint because it’s fun and because I believe art brings beauty to the world. I would add that I know it can be profoundly healing as well. During my training in art therapy, I saw the power art has to tease out the deepest subconscious and bring forward buried layers of self and experience to help people heal. And in classes, I’ve seen how the act of creating art can inspire courage and joy. I suppose for me, becoming an artist has been a matter of both nature and nurture. My grandmother loved Renaissance art and took me to the museums of Europe from a young age. And my mother, who was very artistic, aided and abetted my own creative impulses, including my love of running around the ranch in costumes. Over time, I’ve tried to be simpler in my work, and more mindful. But as nature would have it, I continue to paint intuitively, with active gestural movements and spontaneity. With joy.